Did you know that fall is the best time to plant trees? It’s true! The long months of cool, wet weather are perfect for young trees to spread out their roots and establish themselves in their new home before the heat of the summer comes. This fall there are four chances for you to plant a tree that you can enjoy for years to come. Choose from 12 different trees, including large shade trees, small flowering trees and fruit trees. Learn more about the trees that we’re giving away this season here. Pre-registration is encouraged, but walk-ins will be accepted during each event, while supplies last. At each event you will learn how to plant and care for your new tree, and you will take it home with free mulch. Community Grantee Event: The Empowerment Achievement Movement, Inc. Learn more about the available Fall 2016 trees here. The Empowerment Achievement Movement (T.E.A.M. ), Inc. Thanks for the phone call Cynthia, we’re glad we could get you signed up for some free trees! Is there a way to register for the Roxborough TD Bank Store giveaway on the 30th? Thanks. Registration is closed, but we are bringing trees for walk-in participants so you can come to the event anytime from 12noon to 2pm and choose a tree from the available species! Hi, I understand that registrations are closed, thats rather unfortunate and disappointing. We love tress and my father really wanted to plant an asian pear tree in our yard, however, due to a previous injury he is rather fragile and was not able to make it to the walk in event closet to him. And the last wall-in event is tomorrow and he can barely walk much less be able to carry it from the distance of the events location to our house, nor would a car be able to accommodate the size of the tree for us to even move it for him. Is there any way you can possibble help. Thank you. We would be happy to help your father get a tree! 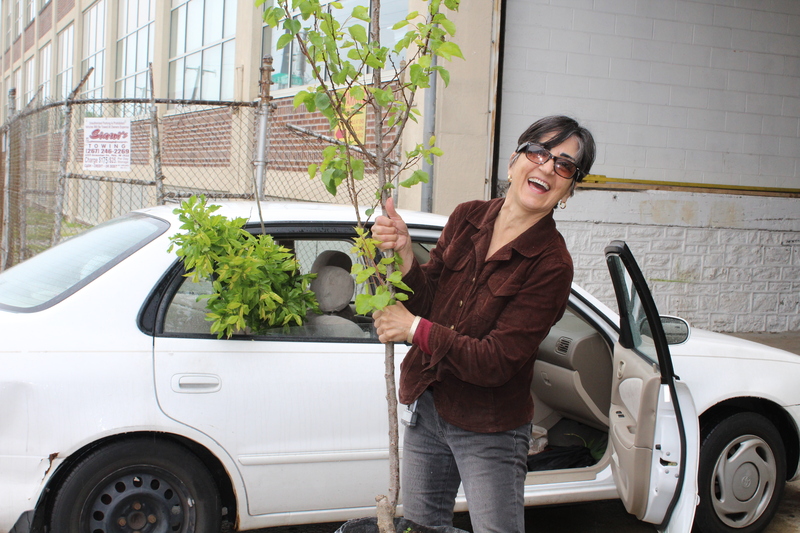 In the spring we will offer a free tree delivery and planting program for people with limited mobility (we offer it every season but it is closed for the fall season). You can download the application here and we can get your father a free tree in the spring! I would like some fruit trees for my yard…is it too late? Unfortunately all of our fall events are over, but we will add you to the mailing list so you will be notified about the spring giveaways when they open in March! We’d be happy to add you to the email list! Hey this is a great thing you do. I love this. I am an arborist in charlotte nc, and have been wanting to engage more within my community as well. How long have you been doing this? Hi Don! TreePhilly has been a program since 2012! We’d be happy to chat more! Feel free to email us at treephilly@phila.gov. Our website shows the full list of yard tree giveaways happening this season. Find the community giveaway closest to your area and contact the group hosting that giveaway directly to register for a tree. Fall is a great time to plant trees, but spring is the close second best, you just have to make sure you’re keeping up on watering the tree through the summer. Summer and Winter are the worst seasons to plant a tree, so the sooner you plant, the better!